Try to recall the last time you got really angry. How did you feel in that situation and how did you act in response to it? Did you feel agitated and tense? Was your heart beating faster and blood surging to your face? If you were experiencing substantial anger, maybe you felt like letting off steam by yelling at someone, slamming doors, or breaking things. Maybe you even felt an urge to lash out to regain control of the situation. 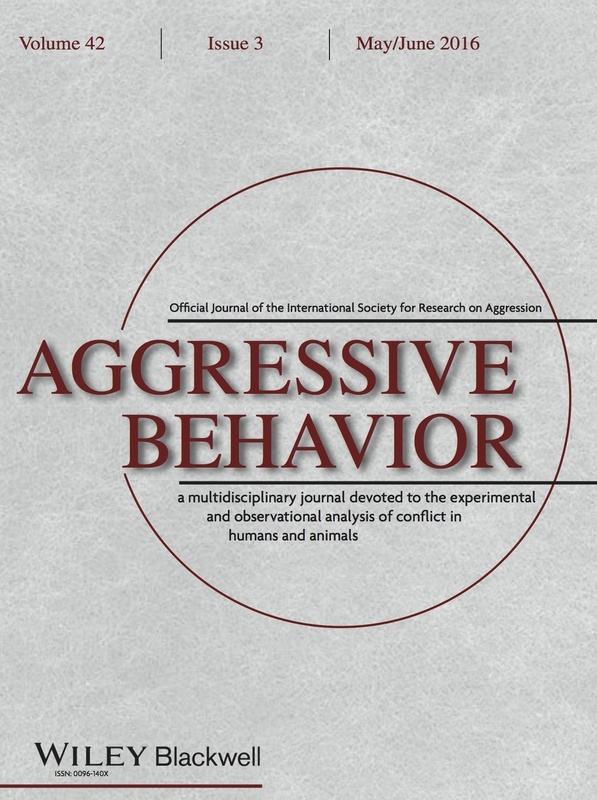 Clearly, the experience of anger is associated with the emergence of aggressive inclinations and increases the likelihood of showing actual aggressive behavior . Accordingly, identifying efficient means to reduce hostile feelings is an important endeavor for psychological researchers, clinical practitioners, and of course for anger-prone individuals. So what should you do the next time you find yourself starting to feel angry? Despite some business people’s recommendation to vent anger by demolishing stuff in their so-called “anger rooms,” research suggests that acting out your feelings this way will only prolong any hostile feelings and thoughts originating from being angered and ultimately lead to increased aggressive tendencies (see the previous blog post on “anger rooms”). The popular notion of catharsis has been exposed as a myth , but psychological research has discovered a number of simple yet efficient interventions to control anger-driven aggression. At the heart of one popular approach lies the idea to counteract feelings of anger by the elicitation of competing incompatible emotions . There is substantial evidence that especially the induction of positive feelings diminishes anger, hostile thoughts, and overt aggressive behavior. Helping yourself to a truly pleasant experience is a straightforward strategy whenever you face a potentially frustrating or otherwise anger-arousing situation. And there are various ways to achieve this goal. Simply reading a set of funny cartoons can make people act less aggressively after being provoked . In a more recent study, pleasant classical music was used to induce positivity and reduce anger as well as aggressive tendencies following a provocation . Listening to the pleasant music was significantly associated with increased positive feelings in comparison to a no-music control group, and music-induced positive mood decreased aggressive behavior by reducing the experience of anger. Further, listening to the pleasant music led to the expected reduction in the ease with which aggression-related thoughts could be brought to mind in previously angered individuals. In another series of experiments, comparable results were obtained for positive feelings induced through touch . Specifically, it was tested if briefly touching an inherently positive object, a cuddly teddy bear, would induce positive affect, mitigate the experience of frustration-evoked anger, reduce anger-activated aggressive thoughts, and buffer anger-driven aggressive behavior. Participants were first angered before they either handled a cute teddy bear or a neutral object (e.g. an ordinary notebook). It was found that handling the teddy bear (but not the neutral object) elicited positive affect and reduced the experience of anger. Further, touching the teddy bear buffered the impact of anger on the activation of aggressive thoughts and kept people from translating any occurring aggressive thoughts into actual aggressive behavior. These effects may be explained by a number of psychological processes, the most important one being the experience of positive feelings that are incompatible with anger. However, the results suggest that handling the teddy bear triggered additional processes beyond that. For example, interacting with a teddy bear may possibly induce feelings of care-taking and empathy, which are also related to decreased levels of aggression. Such feelings might also induce a relaxation response, comparable to reactions to real human touch. The combination of positive stimuli and the induction of a relaxation response may be especially beneficial to reduce aggressive inclinations . Taken together, there is substantial evidence that feelings of anger may be effectively countered by eliciting positive emotions. Since a broad range of simple ways to induce positivity is available (e.g. humor, pleasant music, or positively evaluated objects), this approach offers practical tools for controlling various instances of everyday aggression. So next time you start feeling angry, do not fight fire with fire but rather try to dissipate hostile feelings by exposing yourself to something nice. Maybe you just put your headphones on and listen to your favorite tune, look up some funny cat content on the web, or watch a short comedy episode. As long as you are successful in eliciting positivity, chances are your anger will quickly clear away. Of course, people with continuing anger and aggression issues should seek out professional help, e.g. participating in a long-term anger control training . Still, incorporating ways to increase positivity should also benefit such anger-prone individuals and may be included in existing anger management programs. Johannes Lutz is a Lecturer at the Department of Psychology at the University of Potsdam in Germany. (1) Berkowitz, L. (1993). Aggression: Its causes, consequences, and control. Philadelphia, PA, US: Temple University Press. (2) Bushman, B.J., Baumeister, R.F., & Stack, A.D. (1999). Catharsis, aggression, and persuasive influence: Self-fulfilling or self-defeating prophecies? Journal of Personality and Social Psychology, 76, 367-376. (3) Baron, R.A. (1993). Reducing aggression and conflict: The incompatible response approach, or, why people who feel good usually won't be bad. In G. G. Brannigan & M. R. Merrens, G. G. (Eds. ), The undaunted psychologist: Adventures in research (pp. 203-217). Philadelphia, PA, US: Temple University Press. (4) Baron, R.A., & Ball, R.L. (1974). The aggression-inhibiting influence of nonhostile humor. Journal of Experimental Social Psychology, 10, 23-33. (5) Krahé, B., & Bieneck, S. (2012). The effect of music‐induced mood on aggressive affect, cognition, and behavior. Journal of Applied Social Psychology, 42, 271-290. (6) Lutz, J. (2016). Reducing anger and aggression through eliciting incompatible emotions: An affective-motivational approach to situated anger and aggression control (Unpublished doctoral dissertation). University of Potsdam, Germany. (7) Tyson, P.D. (1998). Physiological arousal, reactive aggression, and the induction of an incompatible relaxation response. Aggression and Violent Behavior, 3, 143-158. (8) Novaco, R.W. (1975). Anger control: The development and evaluation of an experimental treatment. Lexington, MA: DC Heath.